Yesterday I took a short drive to one of my favorite Salt Lake City museums: the Natural History Museum of Utah. (Where, by the way, you still have a week or so to check out the Utah Wilderness 50 photographic exhibit I helped put together.) I love the architecture of the building, framed as it is by the grassy hills behind it. It was also an afternoon of large billowy clouds. All perfect subjects for testing a few camera bodies/lens combinations as I prepare for my next overseas trip. 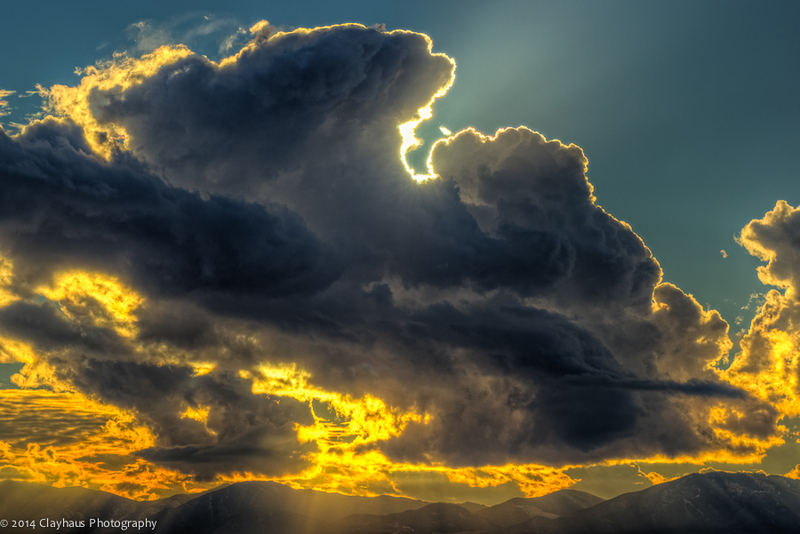 I was not expecting any “take-away” shots but I lingered long enough to witness an impressive cloud bank back-lit by the lowering sun over the distant Oquirrh Mountains. This scene, of course, became a subject to explore. There are a number of “tricks” to taking successful images whilst shooting straight into the sun. First, don’t go blind. Literally. So, when using your viewfinder to compose, and concentrate the sun’s rays, avoid looking at the painfully bright orb! Seems obvious but, depending upon the lens focal length, the sun can be magnified quite large, and hence, difficult to avoid. What else? Whether the sun is peeking out behind clouds (or trees, or a mountain, etc.) or is hidden behind and back-lighting the clouds (or trees, or a mountain, etc. ), you will be shooting into a very high-contrast situation. In order to maintain detail in the shadows without blowing out the highlights, you will need to “help” your sensor. Some might suggest the old-school-but-still-valid methodology of using neutral density filters. I find that very awkward when trying to compose on the fly scenes that have highly variable contrast throughout the frame. That is why I almost always bracket my exposures. I may not need the extra latitude provided by the under and over exposed frames, but they are there. However, they WILL be necessary when shooting into the sun. In fact, I usually bracket with 5, rather than 3, exposures in very contrasty situations. (If your camera allows for 7 or even 9 bracketed exposures, have at it.) If the sun is not hidden but instead shining brightly (and painfully) in your viewfinder, then you may want to stop down your initial exposure a stop or so. Otherwise, even with 5 bracketed exposures, your least exposed frame may have too much blow-out. What about lens flare? Yes, sometimes it is hard to avoid. Clearly some lenses are more prone to this than others with super wide angles lenses, in my experience, the most susceptible. You will need to experiment with your lenses. Often the flare can easily be removed in post-processing. You can also help minimize flare by removing your UV or haze filter, assuming you have one on the lens. Dust and dirt will be greatly magnified when shooting into the sun. A very dusty lens (or UV filter) can yield unacceptable images if not clean. Shoot away from the sun and you may not even notice the minimized specks. Shift the camera into the sun and sudden your image has too-numerous-to-count measles all over the composition. Just wipe the lens/filter with a camera or glasses microfiber cloth, and you will be good to go. How about those groovy star effects on the sun that one occasionally sees? No, they are not from star filters (usually) but rather from stopping down the aperture of your lens to its smallest diameter. F/22, f/32, f/35, etc. can all yield the sun as a beautiful, multi-pointed star (see below). Different lenses will yield different numbers of points, depending upon the internal design of the lens. Of course when bracketing it is best to have the camera on a tripod, rather than hand-hold. This is especially true when using a mid-to-long telephoto lens. I usually have a tripod with me, but not always, as was the case with these shots. However, proper technique (don’t breathe in and out, keep the shutter speed high, hold the camera firmly with your elbows braced against your side, etc) coupled with the image stabilization feature of most modern, mid-to-higher-end cameras (or lens, depending upon where the manufacture has elected to deploy stabilization), and the image alignment function of some HDR software (my favorite being the Photomatix Pro product), you can capture 3-to-5 bracketed exposures and after processing have a perfectly sharp image, with no ghosting. You heard that pointing your expensive DSLR into the sun will burn out your sensor…true or urban legend? Yes. I have known some folks who will not include the sun in any composition for fear of damaging their sensor. (I’ve also known people who refuse to clean their sensor also for fear of damaging their sensor. What they don’t realize is that when they clean their sensor they are actually cleaning a filter that sits over the camera’s sensor. Basically they don’t understand their camera.) This misplaced adoration of the sensor is just that. Usual exposures looking into the sun will be measured in fractions of a second. No harm will be done. However, if for whatever reason (and, seriously, why would you?) you leave your shutter open for multiple or tens of seconds, all bets are off. And, the (non-)effects of sub-second exposures are not cumulative. The images below illustrate and utilized all of these concepts. Enjoy them and take pleasure in knowing that no animals were harmed and no photographers went blind in this production. 5-Exposure high dynamic range image captured with a 20-40mm Pentax Limited lens. Cropped to panorama format. 5-Exposure high dynamic range image captured with a 20-40mm Pentax Limited lens. Hand-held with aperture set to f32 to produce star effect. 5-Exposure high dynamic range image captured with a Sigma 70-200mm f2.8 lens. Handheld at about 70mm. 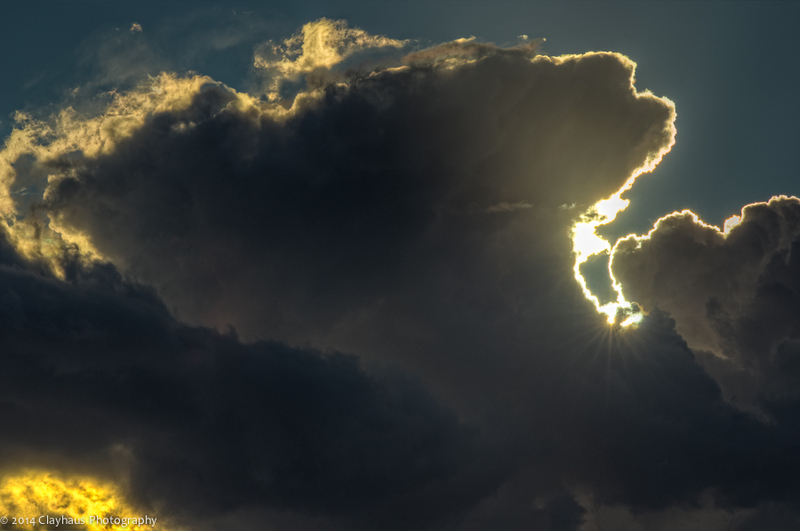 4-Exposure high dynamic range image captured with a Sigma 70-200mm at around 175mm. Handheld. Amazing photos, Jeff. I am glad I’m a subscriber. Thanks Roy…good to have you along for the ride! Well worth the read Jeff. I always learn something new from you. Also, love your sense of humor, it never fails to put a smile on my face. Happy traveling. Thanks Sterling … for reading and writing and… smiling! Thanks for sharing Jeff. Beautiful work.